Healthcare is changing more quickly than almost any other field. The sector is beginning to change in terms of where and how care is delivered, who is supplying those services, and just how that care is financed. Healthcare management demands talented people to manage the changes taking place. In their roles, healthcare executives have an opportunity to produce a significant contribution to improving the health of the communities their organizations serve. With growing diversity in the healthcare system, executives are needed in many settings, including clinics, consulting firms, health insurance organizations, healthcare associations, hospitals, rehabilitation centers, physician practices, mental health organizations, public health departments, nursing homes, skilled nursing facilities and universities and research institutions. Currently, approximately 100,000 people occupy health management jobs at numerous organizational levels, from department head to chief executive officer. Prerequisites for senior-level positions in healthcare organizations are demanding, but these jobs also offer the opportunity to improve the system of care giving. If you choose a career in healthcare management, your first job might be an entry- to mid-level management position in a specialized area, like finance, government relations, human resources, information systems, planning and development, marketing and public affairs, material management, medical staff relations, nursing administration, patient care services, as well as growth and salaries. 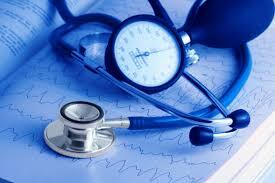 Healthcare management is a large, sophisticated, and ever-changing field. The fact is, healthcare services improve each year which supports millions of new jobs, the largest increase of any industry. This shows that nurses, physicians, therapists and other health care professionals are highly needed by the industry. It is a good time to enroll to a program and enter the health care field. A 16 year old girl was diagnosed with an autoimmune disease. The emergency room felt like home for her. The physician explained her condition where her immune system is acting abnormally. He added that antibodies are savagely killing her platelets. Death from over bleeding may occur. At an early age, Kelly had undergone several major surgeries and countless hospitalizations. Autoimmune disease is one of the leading causes of death among women from all age groups. It is categorized as a chronic illness that can either be debilitating or life-threatening. Kelly and millions of Americans live with such medical nightmare. A few years ago, medical advancement modified dramatically. Unfortunately, most doctors are not aware of these changes. For instance, if laparoscopic surgery (a procedure that could reduce several surgeries into one) was known by Kelly’s doctor, she would have saved time and money. Not to mention the discovery of new pipeline treatments, that soon could lead to a whole new type of drugs. This new drug could have exempted her from surgery. Technology is very obvious, but total application in medicinal sense is not fully widespread. We will now discuss some of the new improvements in healthcare that are readily available to use. Three dimensional printed models help doctors prepare for transplants and conduct surgery smoothly. In addition, it makes the procedures a lot more accurate. CT scan images are helpful, but 3D models enable the doctor to hold and see the “real thing”, giving them confidence over their procedures. Robotic technology is utilized for certain functions like food service, medication distribution, infection control, surgery and diagnostics. Proponents contend that robots can bring many advantages since artificial intelligence can cut labor cost, increase precision, create clinical outcomes and substitute humans from unsafe situations. A Scanadu makes the diagnostic process of basic medical stats convenient (like pulse rate, temperature, and blood oxygenation). With the use of this new machine, you can be diagnosed at the comfort of your home. It analyzes data, diagnose the problem, and send the information to a physician that can possibly provide treatment remotely. Advanced technology has presented physicians countless of better medical options that could save, if not millions, thousands of thousands of lives every day. It is readily available, just waiting for us to discover them making healthcare a lot better.